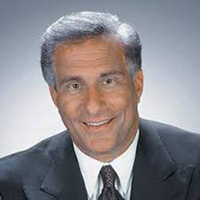 Ted Leitner's 35th season doing radio play-by-play broadcasting for the San Diego Padres was completed in 2014. He was the late Jerry Coleman’s broadcast partner for more than 30 years on the broadcasts. Leitner is also the voice of San Diego State University Aztecs football and basketball teams. He also spent 25 years (1978-2002) as sports anchor for KFMB-TV (CBS Channel 8) in San Diego, doing his nightly sportscasts on the 5 and 11 pm news. His previous play-by-play credits include the NFL’s San Diego Chargers and Philadelphia Eagles, the NBA's San Diego Clippers, the University of Oklahoma and the University of Connecticut. He was born in the Bronx, New York and attended Oklahoma State University before settling in Southern California.